Great guide, worked for me. An additional detail on a 64 bit system, when using alien to create the .deb file from the rpm use alien –target=x86_64. 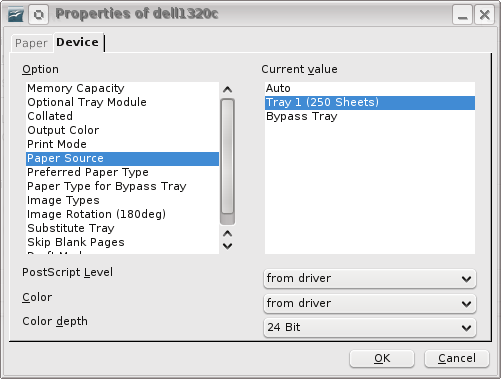 fuji-xerox-docuprint-c525-a-ap_1.0-2_amd64.deb ( as apposed to i386 ). Many thanks!! many thanks INDEED!!! Now I have the 1320c, this method worked perfectly (the file is still there, the webpage is not). Thanks indeed. The driver worked with my Bohdi Linux, but I had to use my old UNIX skills to get it into the right place. Most helpful.